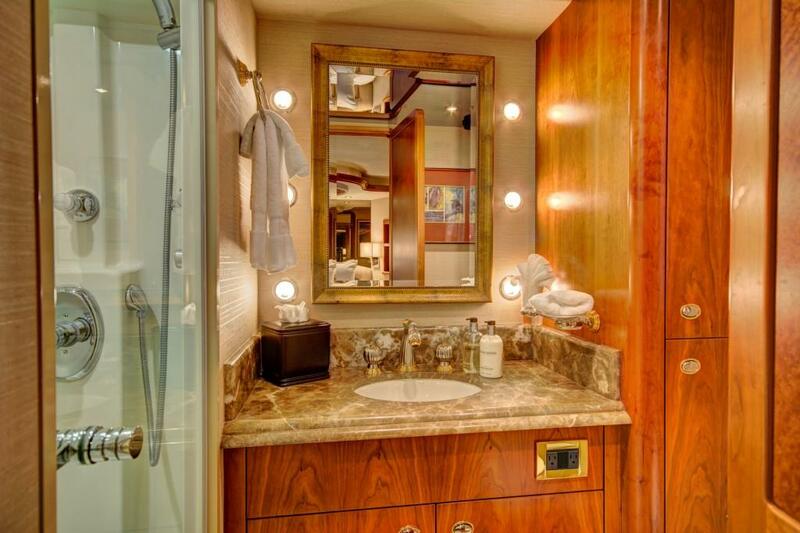 The interiors are contemporary and elegant, featuring plush soft furnishings and high gloss warm wood panels. 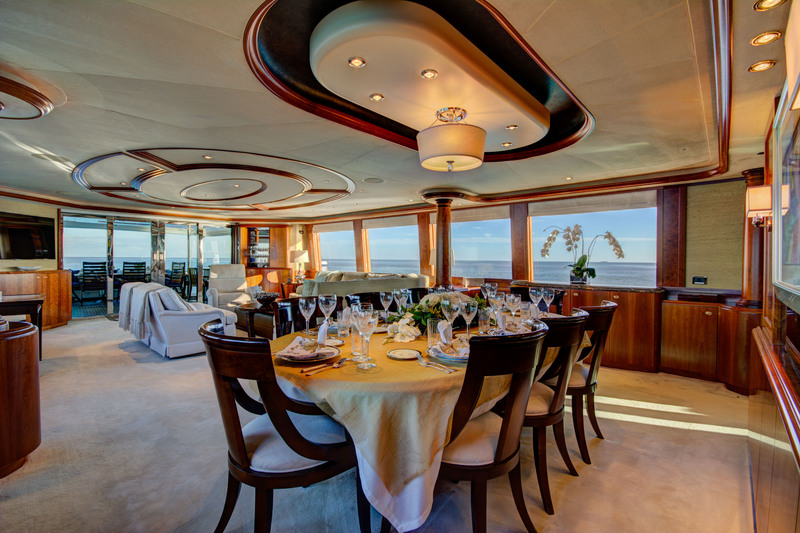 The open plan salon and dining is light and airy thanks to surrounding panoramic windows. 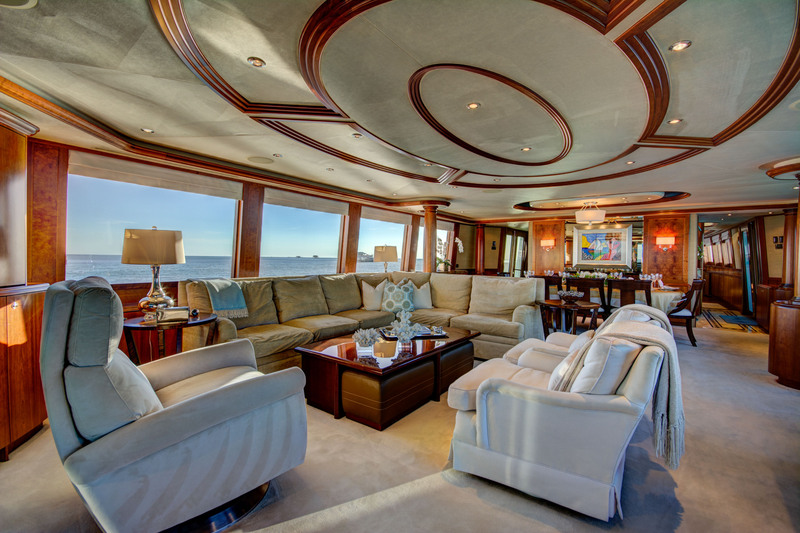 Aft, the salon lounge is well-appointed and ideal for socializing, with a large L shaped sofa, settee, recliner chair and coffee table. 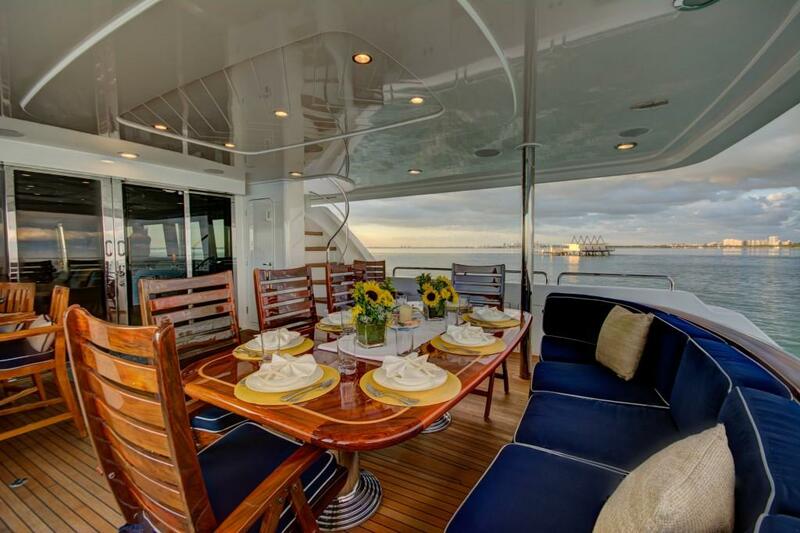 Forward the formal dining table seats guests in style. 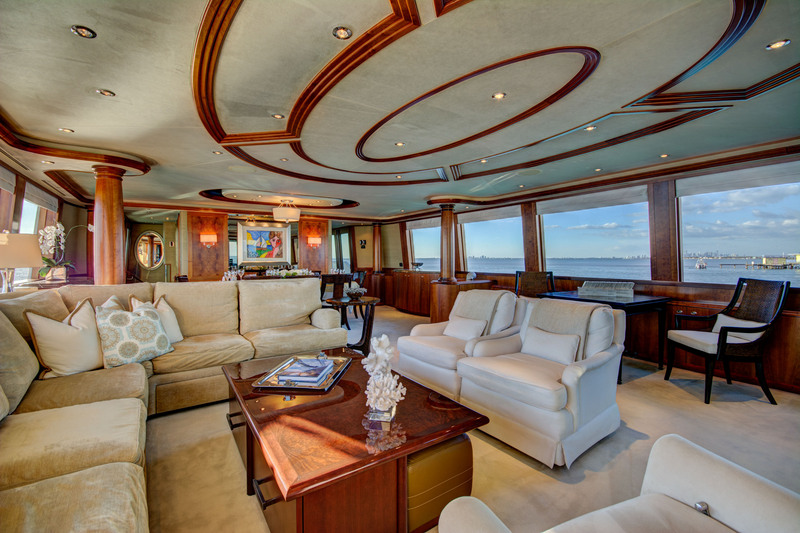 A foyer on the starboard side leads past a day head and into the large professional galley. 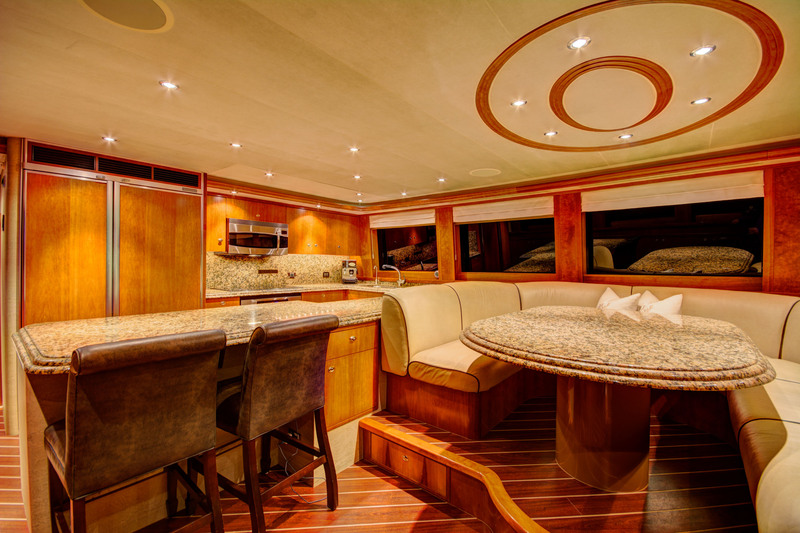 Here a further seating and table is the perfect spot to enjoy a casual coffee, while watching the chef in action. 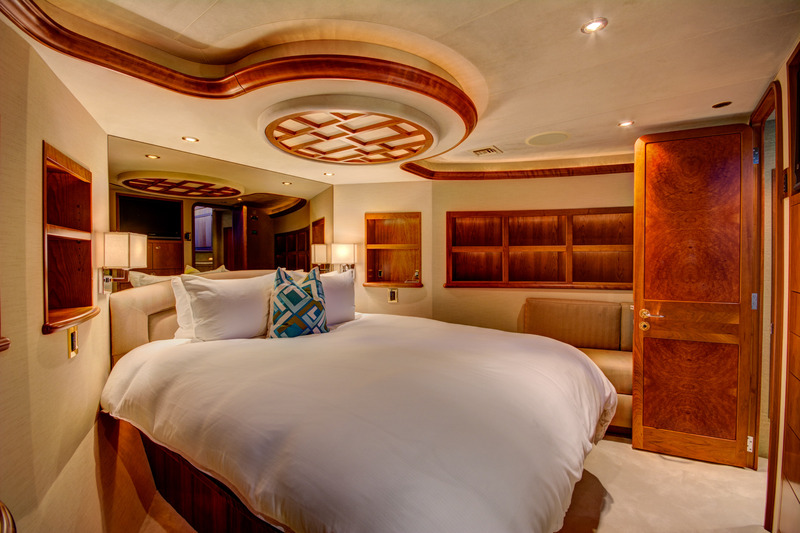 Below decks are 4 deluxe cabins, all boasting private en-suite facilities. 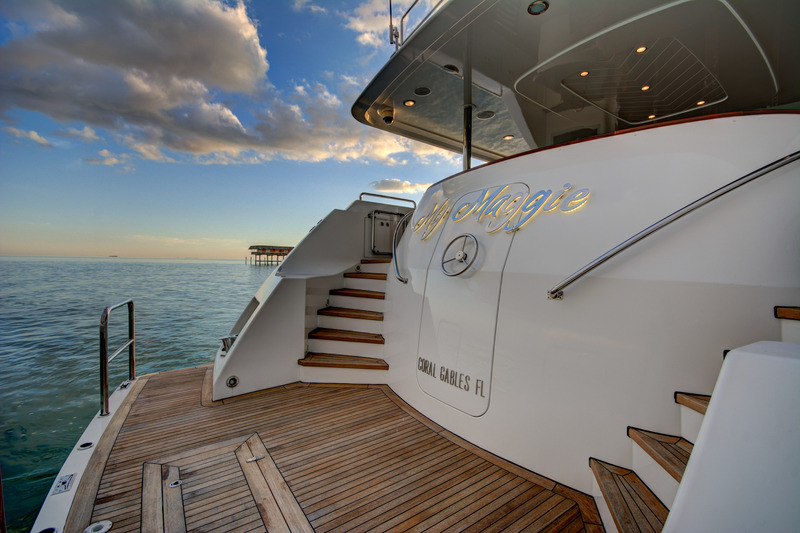 Exterior living aboard the yacht MY MAGGIE is laid out over 2 levels and very voluminous. 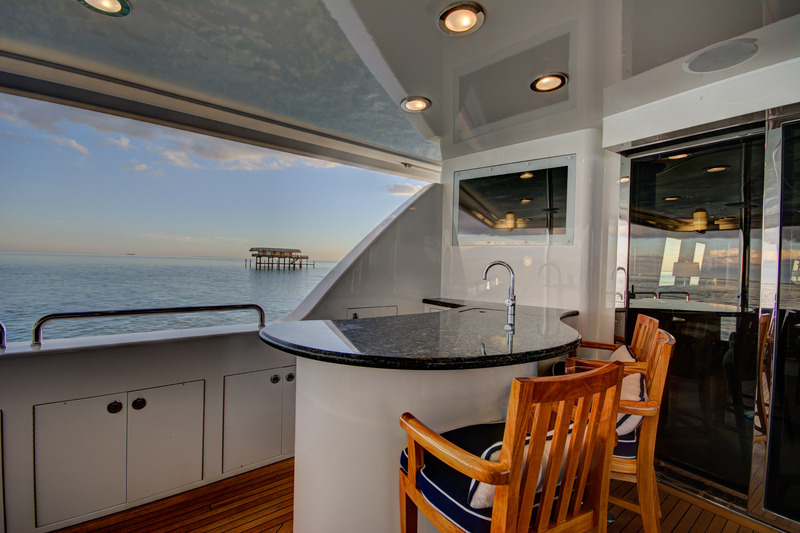 The aft deck has direct access to the salon thorough sliding glass doors and offers an alfresco dining option, soft seating and a wet bar. 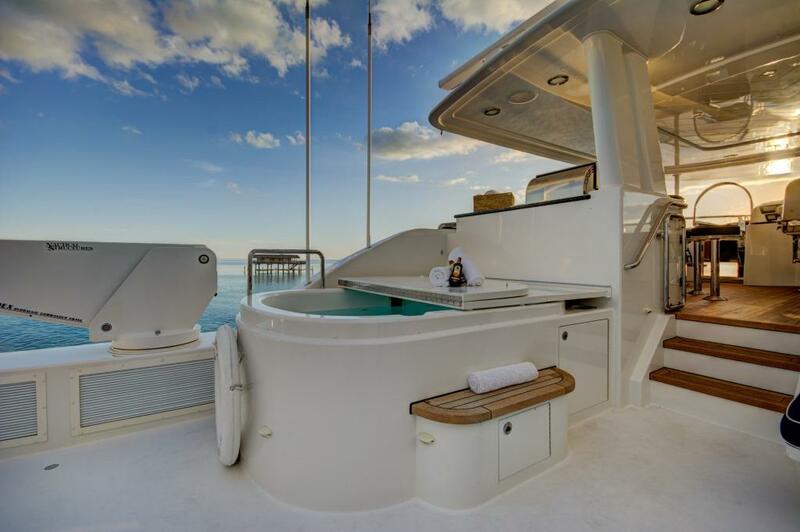 Dual transom steps to the extended swim platform allow for effortless water toys access, or simply enjoy it as a spacious teak beach. The upper deck is impressively spread over 2 sections. 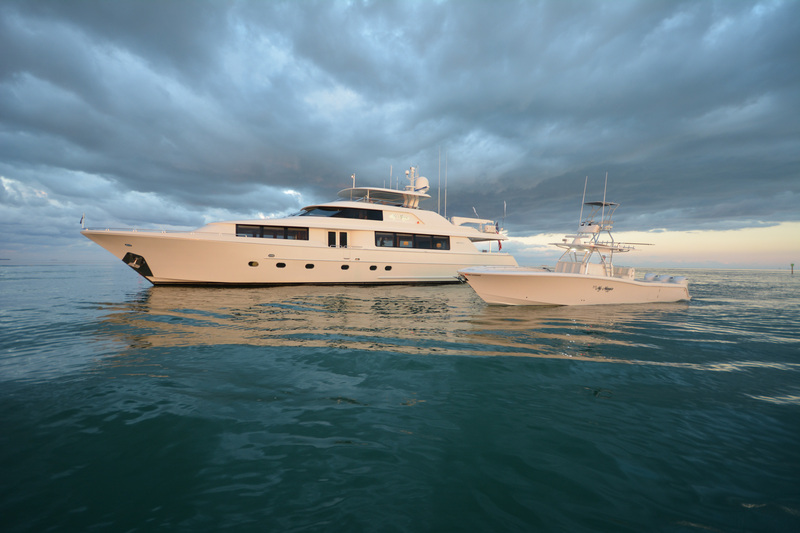 Forward is an exterior helm, L shaped seating and wet bar, while aft is the generous sundeck, additional seating, chaise loungers and relaxing Jacuzzi tub. 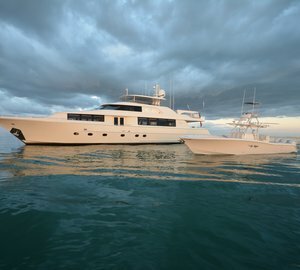 The Westport built MY MAGGIE is powered by 2 x MTU engines, her cruising speeds are 21 knots and top speeds are 25 knots. 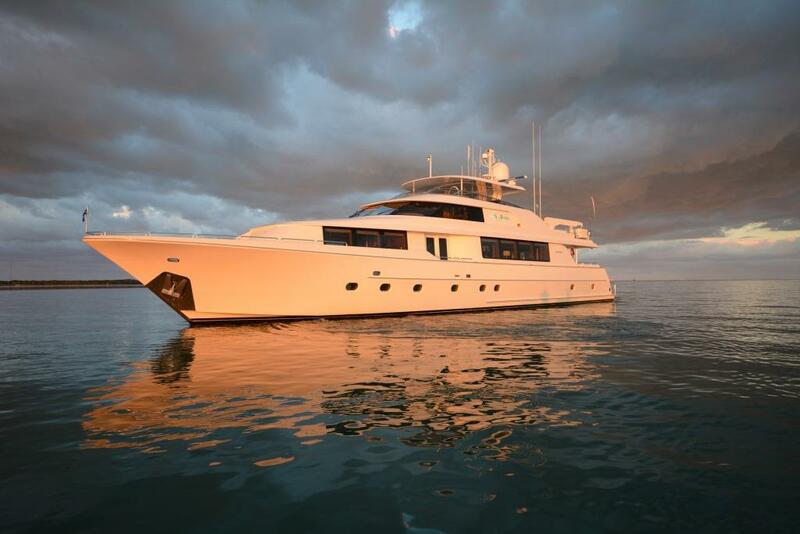 Accommodation is in 4 en-suite cabins on the lower deck. 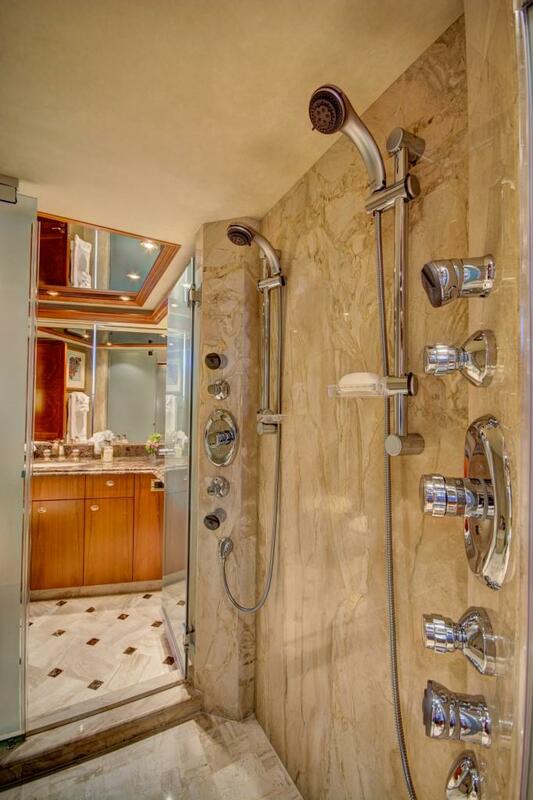 The master stateroom is amidships and full beam of the yacht, with a king size bed and his and hers en-suites. 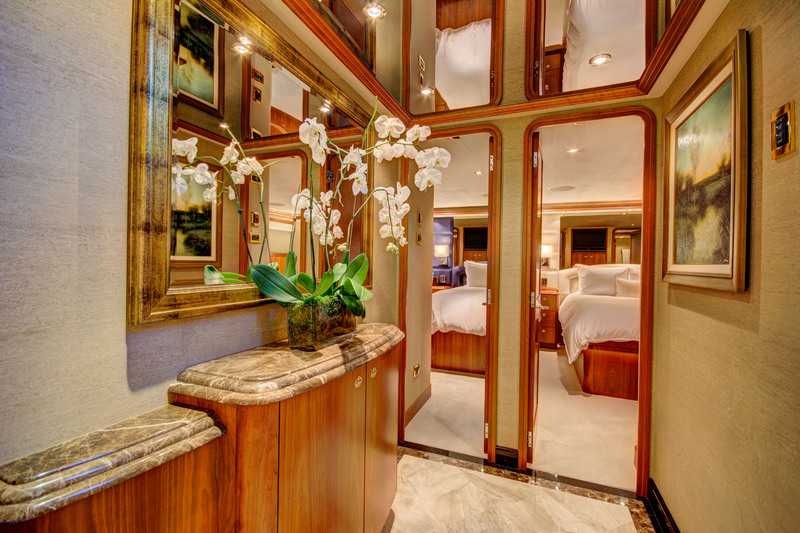 The VIP cabin is separate and forward of the galley, with a center lined queen size bed. 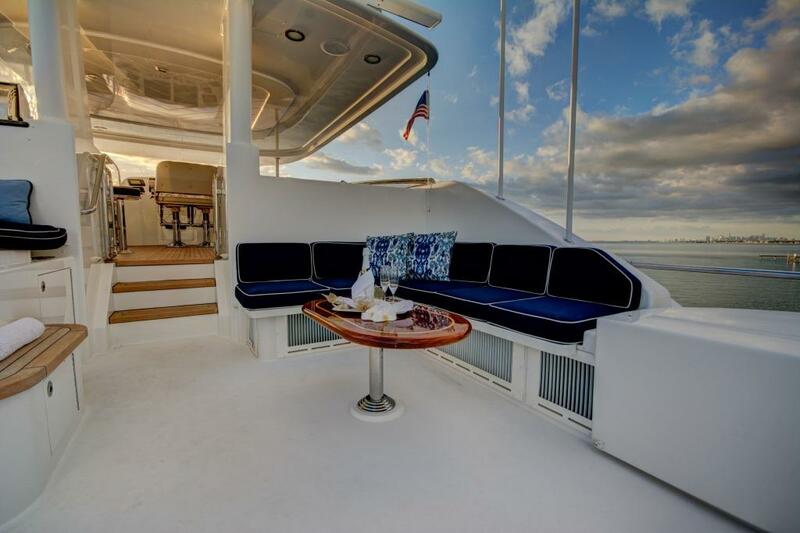 A guest cabin on the lower main deck has a queen size bed. 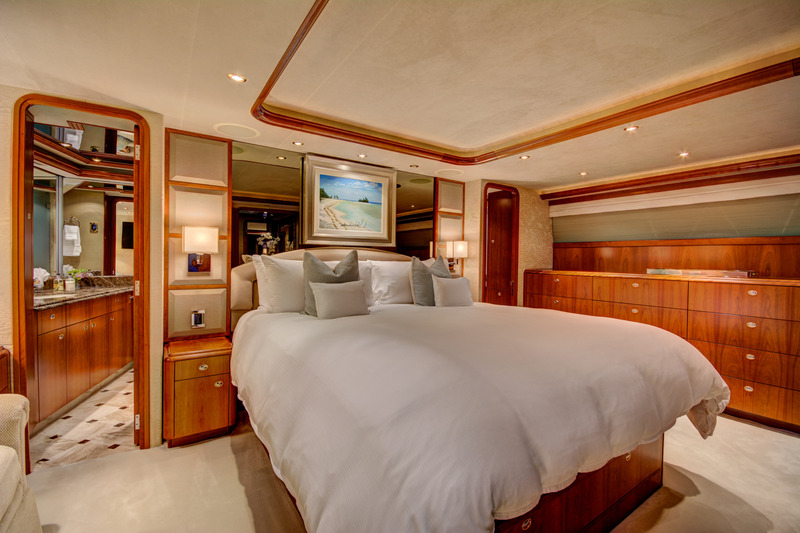 A fourth cabin on the main lower deck has side by side twin beds. 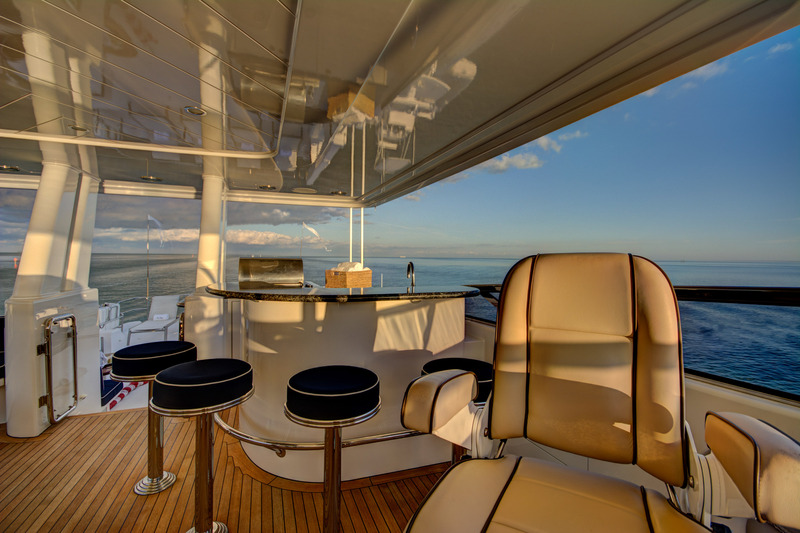 All 4 cabins are inviting and serene, the ideal combination of luxury and relaxation.